The U-PLEX TH17 Combo 2 (hu) contains ten key TH17 pathway markers grouped together for ordering convenience. U-PLEX assays demonstrate high sensitivity, excellent precision, and up to 5-logs of linear dynamic range. 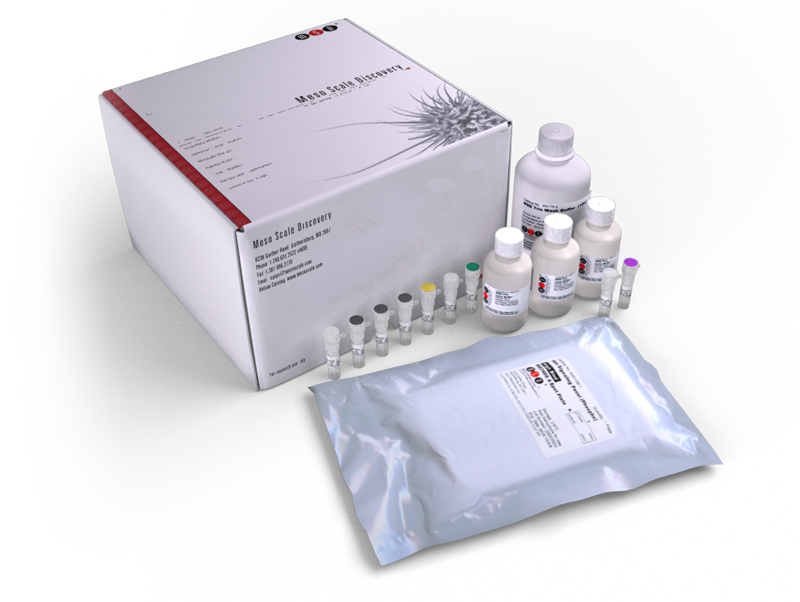 U-PLEX assays are read in less than 90 seconds on any MSD instrument, using no complicated fluidics or calibration procedures. Description - T helper cells of the TH17 lineage regulate other immune cells, specifically neutrophils and macrophages, by secreting a variety of cytokines in response to extracellular pathogens. This assay simultaneously measures ten human TH17 related analytes in serum, plasma, and cell culture supernatants. Measuring a range of markers in samples may give insight into immune system function.